No matter who wins the election on Nov. 8, President Barack Obama will be leaving the White House in January 2017. For the first time in history, there's more to hand off than the Oval Office and the problems of a nation. There are now a host of digital properties that come with the White House, largely built by President Obama and his staff. President Obama has been groundbreaking in terms of how he uses the digital world to communicate with the citizenry and it will be expected that whoever takes his job does the same. He was the first president to have a presidential Twitter handle, to do a town hall on YouTube, to use a Snapchat filter, and have a live discussion on Facebook. Not to mention the @WhiteHouse Twitter account and YouTube channel, a Flickr account, a Vimeo channel, and much more. So, what happens to President Obama's @POTUS Twitter account and other digital properties when he leaves office? 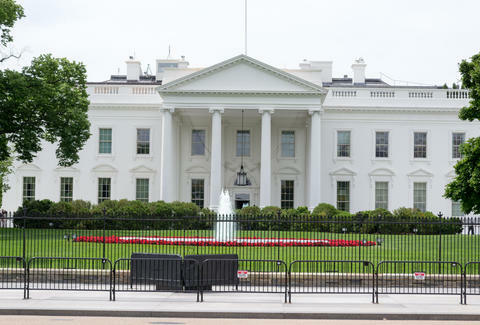 The White House addressed their digital transition policy in a post at the White House blog, which is yet another digital property they've cultivated. The smooth transition of digital power has three goals according to the post. First, all materials will be handed to the National Archives and Records Administration (NARA), just like every president does with handwritten notes, faxes, emails, and other correspondence. The material passed to NARA will include all of his tweets and snaps (yeah, those don't disappear forever) in a variety of formats. Secondly, the materials are to be readily available to the public "wherever possible." That means making sure all digital communications, like tweets, are available on their native platform. Obama's @POTUS account will be transitioned to @POTUS44. Similar transitions will happen with the White House's Instagram, Medium, and Tumblr accounts moving from "/whitehouse" URLs to "/obamawhitehouse." Accounts of the First Lady and Vice President will move to accounts with the "44" added to the end. Presumably, Joe Biden's Twitter Avatar will also transition to an image of a convertible burning out on the White House lawn. All posts from these accounts, in addition to being available at their new handles and addresses, will be made available as downloads for researchers, journalists, and any other interested party. The code for the "We The People" petition website will also be passed to the next president, giving him or her the ability to continue that site's mission, should they choose to. Surely the next president will want to know what people think about officially making Friday part of the weekend, allowing the state of Canada to become its own nation, and why Joe Biden should become Guy Fieri's sidekick. And finally, official White House accounts, like @POTUS, will be wiped clean for the next president to take over. The tweets will be removed from the account, meaning you won't be able to retweet something from Hilary Clinton or Donald Trump that was actually said by President Obama, as funny as it might be to attribute Obama quotes to Trump. The account will maintain all of its current followers but will be managed by the staff of the incoming president. "While much of the digital transition is unprecedented in the United States, the peaceful transition of power is not," Obama's staff writes in the post. It's surely not the only unprecedented thing about this election, but at least there's a commitment to this unprecedented act being peaceful.